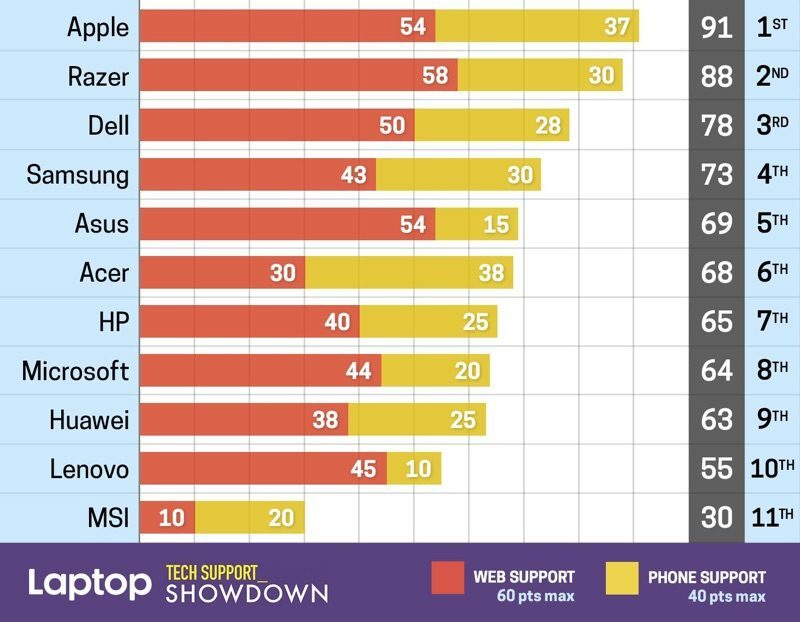 Apple continues to dominate when it comes to customer support, according to Laptop Mag's annual tech support showdown, which is designed to help customers determine which companies are offering the most reliable customer service in the tech industry. Apple received an aggregate score of 91, earning 54 points for its web-based tech support and 37 points for its phone-based tech support. Laptop Mag says that Apple's support staff are among the "fastest and most knowledgeable," offering up "accurate answers" to Mac questions across live chat, social media, and the phone. In a more in-depth breakdown of Apple's score, Laptop Mag says its editors queried Apple about Dark Mode in macOS Mojave, disabling automatic updates, and turning off the webcams (something not possible). Live chat was determined to be the best Apple support experience, and it took between 4 and 9 minutes for live chat staff to walk Laptop Mag through answers to its queries. Phone support was also quick, thorough, and helpful. Larry was surprised when I told him I wanted to disable the MacBook Air's webcam. After saying he typically just puts tape over his webcam, Larry asked me to wait for 3 to 5 minutes while he checked to see if anything else were possible. Two minutes later, Larry was back on the call to walk me through the System Preferences app and show me how to disable webcam access, app by app. He also noted there might be a "fancier" way to disable the webcam via the Library (it's actually in the Terminal program), but that this was easier. Few companies even came close to beating Apple's score of 91 in the Tech Support Showdown, but Razer, the number two company, scored an 88 and Dell scored a 73. Apple competitor Samsung earned a score of 73, while Microsoft got a 64. As always, Laptop Mag arrived at these scores by posing as everyday PC and Mac users to get answers to three questions from major laptop manufacturers. Both the online and telephone support systems were tested. 100 points total were possible, 60 from online support because it's a more popular way to get help, and 40 from phone support. On April 24, 2015, the original Apple Watch launched in nine countries around the world. Four years later and we are now on the fourth iteration of the wearable device, the Apple Watch Series 4. Over the years Apple has worked on improving Apple Watch with a better and bigger display, water resistance, additional health and fitness features, and more. As usual for Apple products, rumors about an Apple wearable device began ramping up in the years before the official Apple Watch launch. In 2013, Apple filed a trademark for an "iWatch," despite the fact that the device would eventually be known as the Apple Watch. Apple did the same thing for the iPad, seeking to secure rights for the "iSlate" trademark while also secretly filing trademarks for the official "iPad" name. As the launch neared, multiple reports suggested that Apple was facing battery life, screen, and manufacturing issues while developing the Apple Watch. Battery life was an ongoing issue for Apple when it was creating Apple Watch, since the company's goal was reportedly to create a device that would last for at least four to five days. This never came to pass, and even the brand new Apple Watch Series 4 requires daily charging, although many people do get around two days of life at times. At an event in September 2014 Apple finally unveiled the Apple Watch, and then waited until a March 2015 event to set an April 24 launch date for the wearable device. On that day, the Apple Watch launched in the United States, United Kingdom, Australia, Canada, China, France, Germany, Hong Kong, and Japan, priced starting at $349 for a 38mm Sport and $399 for a 42mm Sport. Prices increased to between $549 and $1,099 for the stainless steel Apple Watch models, and then to as much as $17,000 for the 18-karat gold Apple Watch Edition. At launch, Apple advertised the Apple Watch as a fashion accessory, with the high-end Edition, the Hermés collection (launched September 2015), and similarly expensive first-party bands, like the Link Bracelet ($500+) and Modern Buckle ($250). The Apple Watch was successful, but the company really hit its stride with the smartwatch once it began encouraging fitness features of the device, like when it partnered with Nike for the Apple Watch Nike+ in 2016. Apple has now discontinued the Apple Watch Edition, lowered the price of some of the more expensive bands, and placed the Apple Watch as a more direct competitor to fitness wearables like the Fitbit. Today, the Apple Watch has grown to become the global smartwatch leader, comprising half of the market in 2018. In total, Apple held 51 percent of the global smartwatch marketshare last year, down from 67 percent in 2017. Despite the drop, Apple remains the "clear market leader" in the U.S. smartwatch market according to the NPD Group. On an earnings call for the first quarter of 2019, Apple CEO Tim Cook described the company's wearables revenue (including products like Apple Watch and AirPods) as "approaching the size of a Fortune 200 company." As to what's coming this year, the Apple Watch Series 5 might feature a new ceramic casing design when it launches in September 2019. Next year, Apple may add a sleep tracking app to the Apple Watch, encouraging users to wear their Apple Watch while they sleep to track sleep quality and other metrics. The feature is in testing with Apple employees and if the project proves successful, it could be added to the Apple Watch Series 6, accompanied with a low power mode so as to not impact battery life. In the future, Apple is reportedly looking to launch an Apple Watch that lacks physical buttons and instead adopts support for touch and swipe-based gestures along the sides of the casing. Other future Apple Watch additions include placing hardware into the Apple Watch band, blood glucose monitoring, and an Apple Watch with a microLED screen. The Apple Watch may be the first device to receive an Apple-designed microLED display, but the technology is still a "couple of years" from reaching consumers. If you're interested in reading more about the Apple Watch, be sure to visit our Apple Watch Roundup. Earlier this month, Bloomberg shared details on the thousands of employees that Amazon employs around the world to listen to voice recordings captured in the homes of Amazon Echo owners when the Alexa wake word is spoken, with the purpose of improving the service. There was some concerning information in the report, including employee access to private recordings, recordings that are upsetting or potentially criminal, and an employee tendency to share private recordings in group work chat environments. As it turns out, there's something Alexa owners should be even more worried about -- some of these employees have access to the home addresses of Amazon customers. In a new report on the team Amazon employs to listen to Amazon Echo recordings, Bloomberg says that employees have access to location data and can "easily find a customer's home address" by typing geographic coordinates into third-party mapping software. The new information was shared by five anonymous Amazon employees who spoke to Bloomberg. Team members with access to Alexa users' geographic coordinates can easily type them into third-party mapping software and find home residences, according to the employees, who signed nondisclosure agreements barring them from speaking publicly about the program. While there's no indication Amazon employees with access to the data have attempted to track down individual users, two members of the Alexa team expressed concern to Bloomberg that Amazon was granting unnecessarily broad access to customer data that would make it easy to identify a device's owner. Bloomberg saw a demonstration where an Amazon team member pasted a user's coordinates (stored on Amazon's servers as latitude and longitude) into Google Maps, finding the address for the user linked to the recording in less than a minute. It's not clear how many people are able to access that system, though two Amazon employees said that until recently, the "vast majority" of workers in the Alexa Data Services group could use the software. Certain employees on the data team listening to recordings have access to home and work addresses for customers along with phone numbers and access to their contacts if the person has chosen to share contacts with Alexa, all for the purpose of improving requests. That employees can access specific location data for an individual customer is concerning because after the original report, Amazon had this to say: "Employees do not have direct access to information that can identify the person or account as part of this workflow." In a new statement provided to Bloomberg, Amazon said something different, calling access to internal tools "highly controlled." In a new statement responding to this story, Amazon said "access to internal tools is highly controlled, and is only granted to a limited number of employees who require these tools to train and improve the service by processing an extremely small sample of interactions. Our policies strictly prohibit employee access to or use of customer data for any other reason, and we have a zero tolerance policy for abuse of our systems. We regularly audit employee access to internal tools and limit access whenever and wherever possible." Amazon, says Bloomberg, appears to be restricting the level of access that employees have to sensitive customer data, and after the original story, some of the workers who transcribe and annotate audio recordings no longer had access to software tools they had previously used. 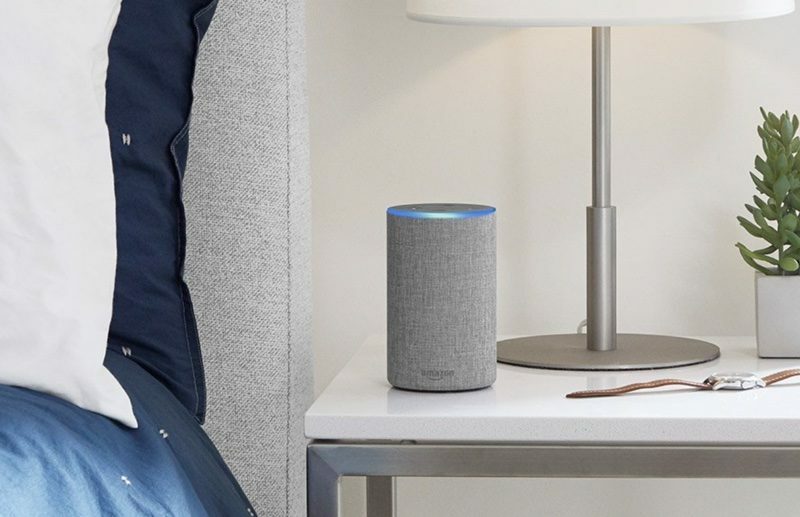 Alexa users concerned with the data that's being collected and used by Amazon should make sure to enable all privacy features and uncheck the option for letting Amazon save Echo recordings. 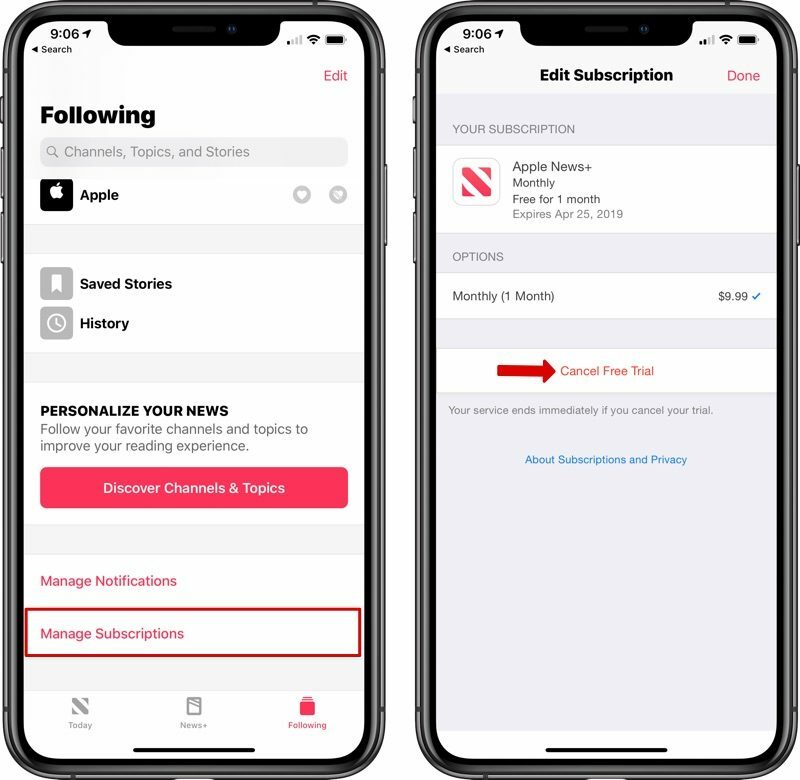 Tomorrow marks a month since Apple announced its Apple News+ subscription service, which means if you signed up on March 25 following the event, you're going to start getting charged $9.99 per month. Open up the Apple News app. On iPad, scroll to the bottom of the side bar. On iPhone, tap the "Following" tab. Tap on "Cancel Free Trial." 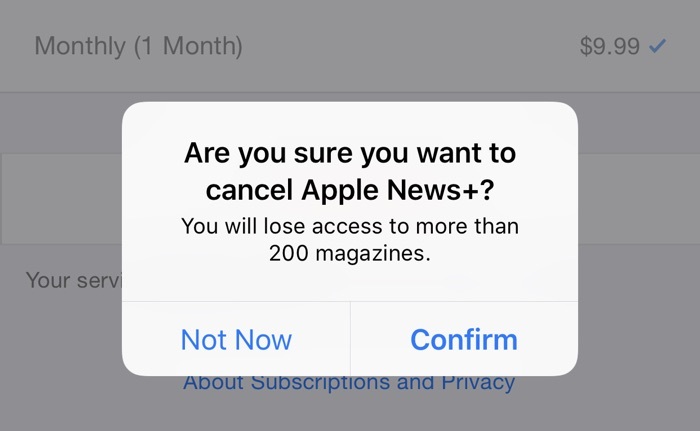 Once you've canceled Apple News+, the free trial ends immediately and you won't be charged. If you don't cancel, your subscription will renew at $9.99 per month going forward. After canceling, you can opt to resubscribe, and you'll be charged $9.99 right away. An estimated 200,000 people signed up for Apple News+ during the first 48 hours after the service launched, which is more users than Texture had at its peak, but it's not clear how many subscribers will continue to use the service now that free trials are beginning to end. 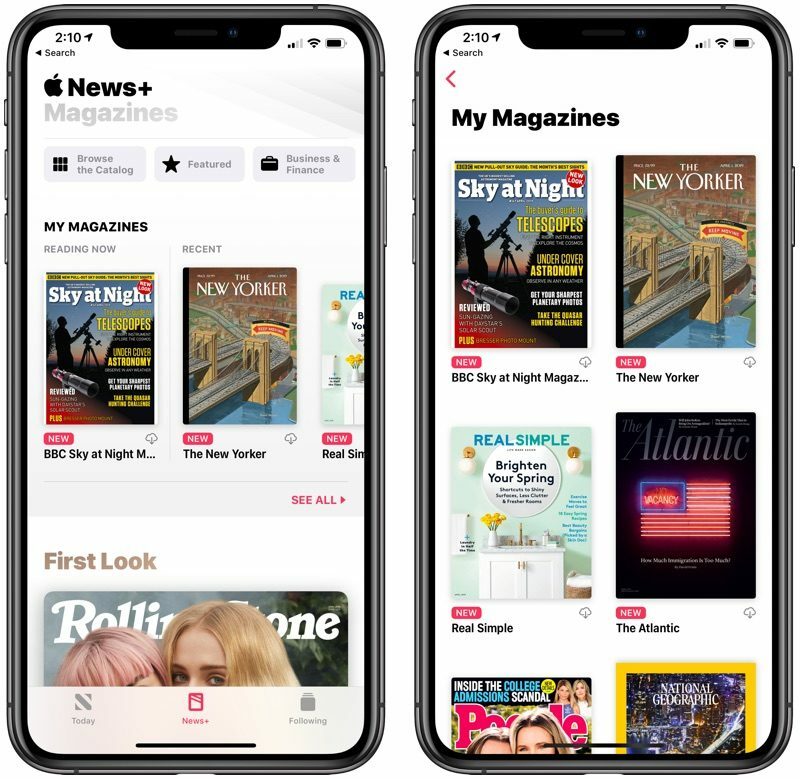 Apple News+ has been criticized for its confusing layout, lack of clear controls for managing and accessing magazines, poor customization and recommendations, inability to delete downloaded magazines, outdated PDF interface for some magazines, and nearly unreadable content on iPhone and Mac for magazines that aren't digitally optimized. As for news, what many people may be subscribing for, it's also a bit limited. You can access all of the content from The Wall Street Journal, for example, but Apple is only highlighting a selection of general interest news stories, and to find anything else, you have to search. Apple News+ also only retains three days of archived content. Aside from The Los Angeles Times and The Wall Street Journal, no other newspapers, such as The New York Times and The Washington Post, have agreed to join Apple News+, making it of limited interest to those who don't read magazines. Newspapers have refused to join because Apple takes 50 percent of the revenue from an Apple News+ subscription, splitting the rest between publishers based on how much time is spent on their content. Canceled my Apple News+ trial before they started charging me tomorrow. Not enough content of interest to me, and the whole user experience is just mind-bogglingly bad. Here’s hoping they get it figured out at some point. Former Texture users have also expressed displeasure with Apple News+ because the interface is not as streamlined or as easy to use as Texture, there's no Android app, and there's a limited collection of back issues. Texture is shutting down at the end of May. 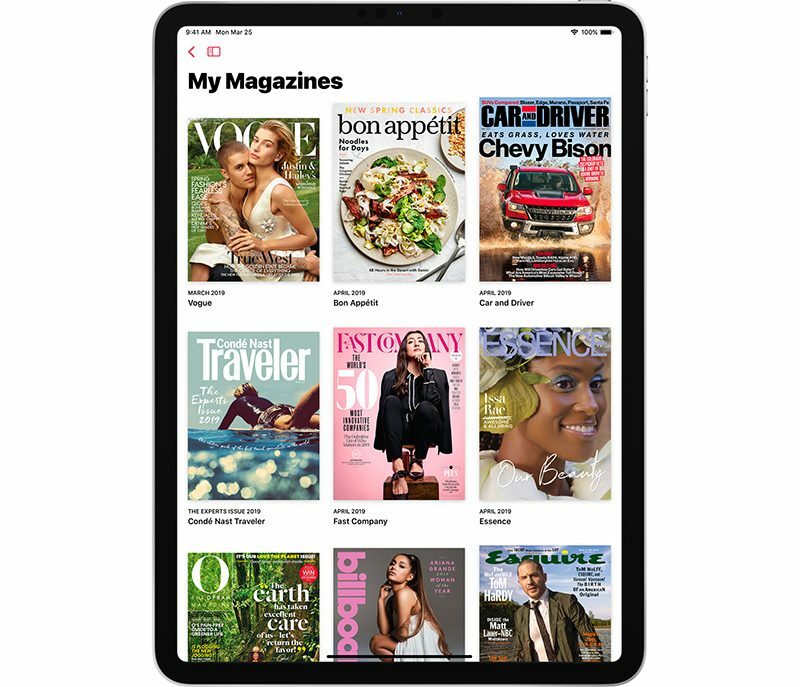 There are customers who enjoy magazines and those who are subscribers to The Wall Street Journal who are satisfied with the experience, but for many, Apple needs to make improvements to make Apple News+ feel more finished, less confusing, and more polished. The lawsuit alleges that Apple knowingly sold the aforementioned iPhone models with "defective" power buttons and refused to properly remedy the issue. For this, Apple is accused of "deceptive" or "fraudulent" business practices, breach of warranty, and violating multiple California consumer laws. All California citizens who purchased one or more iPhone 4 or 4S smartphones from Apple or a third-party retailer, from June 24, 2010 through October 10, 2011 for the iPhone 4, and from October 11, 2011 through September 20, 2012 for the iPhone 4S, and whose sleep/wake (power) button stopped working or worked intermittently during a one year period from date of purchase. All California citizens who purchased one or more iPhone 5 smartphones from Apple or a third-party retailer prior to April 1, 2013, and whose sleep/wake (power) button stopped working or worked intermittently during a three year period from date of purchase. In April 2014, Apple initiated a program offering free repairs of a "small percentage" of iPhone 5 models with power buttons that may "stop working or work intermittently," but the lawsuit alleges that the program went "unnoticed" and began "ten months after the initial complaint in this matter." The class action lawsuit seeks damages in an amount to be proven at trial, plus restitution, injunctive, and declaratory relief. 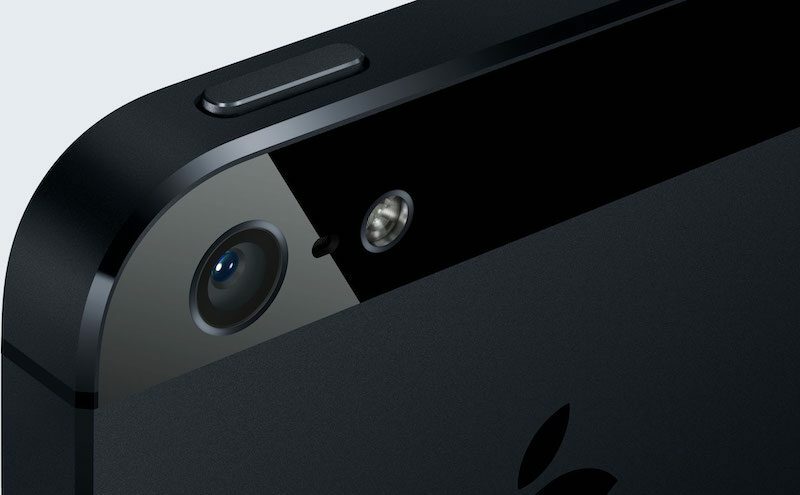 Apple denies all of the allegations in the complaint, and denies that it did anything improper or unlawful. As with any class action lawsuit, proposed members can do nothing to remain part of the class, or opt out to retain the right to sue Apple individually. Apple will likely launch two new AirPods models as early as the fourth quarter of 2019, according to analyst Ming-Chi Kuo. In his latest research note, obtained by MacRumors, Kuo forecasts that two new AirPods models will likely go into mass production between the fourth quarter of 2019 and the first quarter of 2020, with Luxshare, Goertek, and Amkor expected to be Apple's primary suppliers of the new earphones. Kuo believes one of the new AirPods models will feature an "all-new form factor design" and a "higher price" than the second-generation AirPods, which cost $159 with a standard charging case and $199 with a wireless charging case. The other model is expected to be a more iterative update with the same pricing. 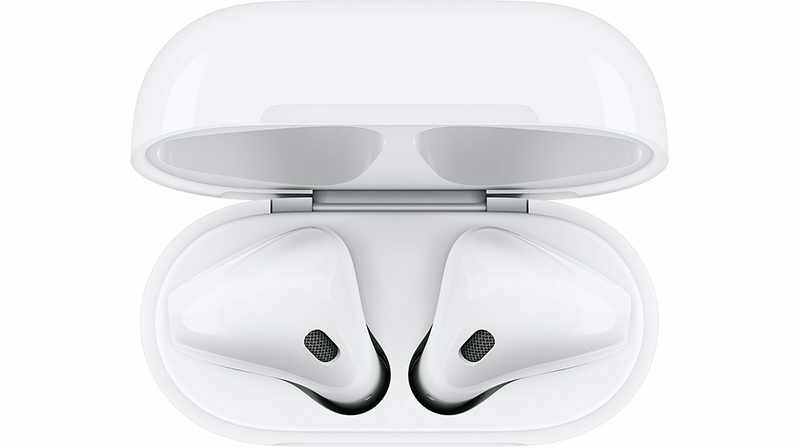 Both new AirPods models are said to adopt a new system-in-package design internally, which can improve assembly yield rates, save space internally, and reduce costs, but Kuo does not elaborate on outward-facing design changes. We expect Apple will likely launch two new AirPods models in 4Q19 at the earliest. One is the all-new form factor design at a higher price. The other's outlook and price will be the same as the current model's. A common internal design factor of these two new AirPods will be to abandon the current "SMT+RFPCB" design and change to adopt the SiP design instead for improving assembly yield rates, saving internal space and reducing cost. Kuo is "positive on the demand for AirPods" and Apple's wireless headphones market share, as he believes the "all-new design" of one of the new models "could boost the replacement demand and attract new users." He estimates AirPods shipments will reach 52 million units in 2019 and 75-85 million units in 2020. Last month, Apple launched second-generation AirPods powered by an Apple-designed H1 chip, enabling hands-free "Hey Siri" functionality and up to 50 percent more talk time compared to the original AirPods. 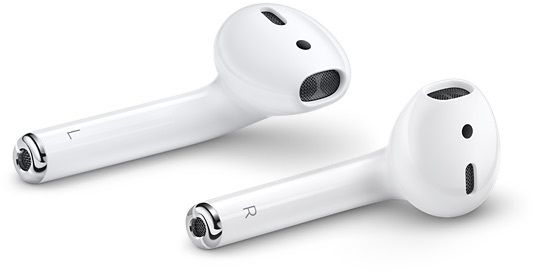 The second-generation AirPods feature the same outward design as the original. Bloomberg's Mark Gurman was first to reveal Apple's roadmap for AirPods, including the second-generation pair with "Hey Siri" support, while DigiTimes also expects third-generation AirPods to launch by the end of the year. 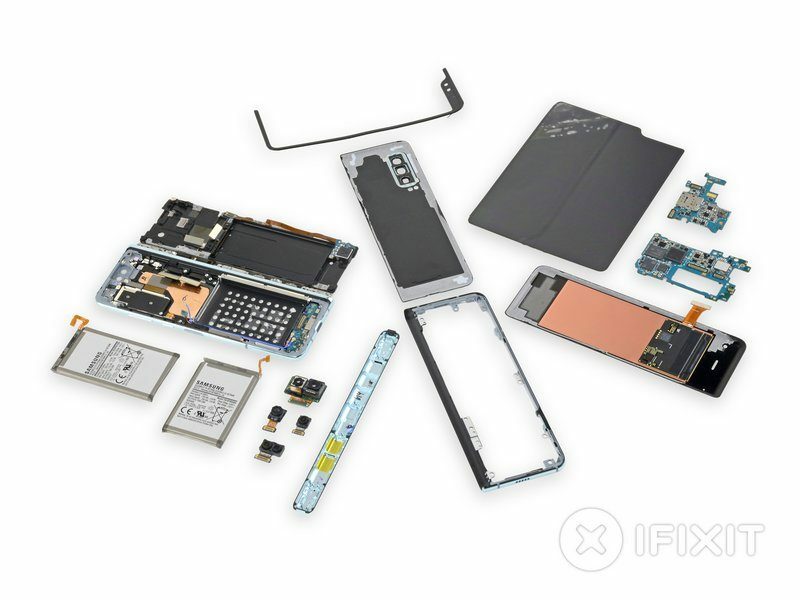 iFixit today published its teardown of Samsung's Galaxy Fold, offering more details on a potential flaw in the device, which has now been delayed following reports of several broken review units. 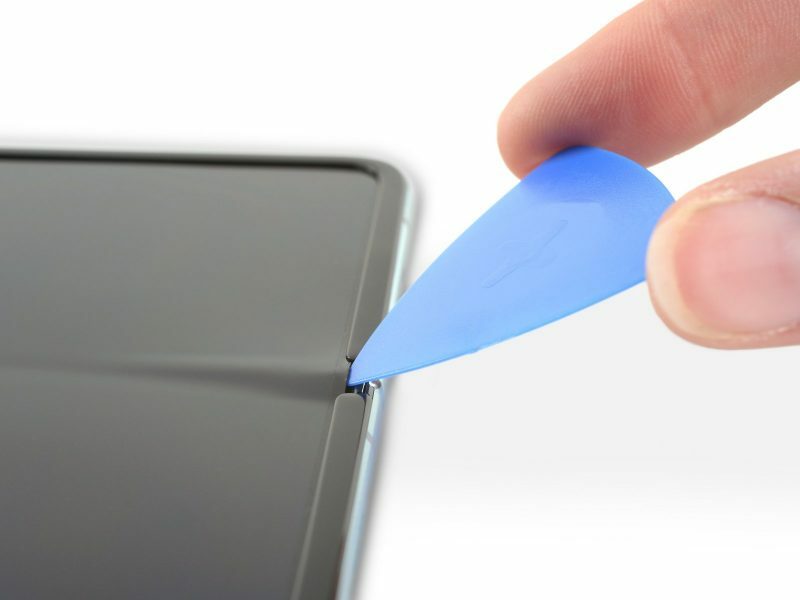 Essentially, it looks as though Samsung was so focused on perfecting the folding mechanism on the smartphone/tablet hybrid that it made a major oversight: providing adequate protection against the ingress of debris between the OLED screen and the chassis bezel. Many reviewers experienced multiple issues while testing the device, including a random bulge appearing on the display, as well as flickering and failing screens. In many cases, the issues were enough to make the $1,980 device completely unusable. In a statement, Samsung said its initial findings from the inspection of reported issues on the display showed that they could be associated with impact on the top and bottom exposed areas of the hinge. It also said "substances" were found inside the device, which affected the display performance. As iFixit notes, it will be interesting to see how folding designs manage to overcome these weaknesses in future - if indeed they have a future. Following Samsung, Huawei and Xiaomi revealed that they too will launch folding smartphones, and there are signs Apple is looking into the possibility of a foldable iPhone. Apple has filed several patent applications related to folding phones that variously fold inward, outward, and both inward and outward. As for the Galaxy Fold, the months ahead look increasingly uncertain. One day after Samsung said it was delaying the launch of the hybrid handset, the company announced that it would be retrieving all Fold devices that were distributed to reviewers. In an email to pre-order customers about the delayed launch, Samsung said that it will update customers with more specific shipping information in two weeks. "Your pre-order guarantees your place in the queue for this innovative technology," the company promised. Apple Pay officially launched in Austria this morning. Apple's mobile payment system is now supported by the country's largest bank Erste Bank und Sparkasse, as well as German-based mobile bank N26, allowing customers to add bank cards to their digital wallet. Apple says additional Apple Pay partners "coming soon" to Austria will include Bank Austria, Boon, Edenred, Revolut and VIMPay. 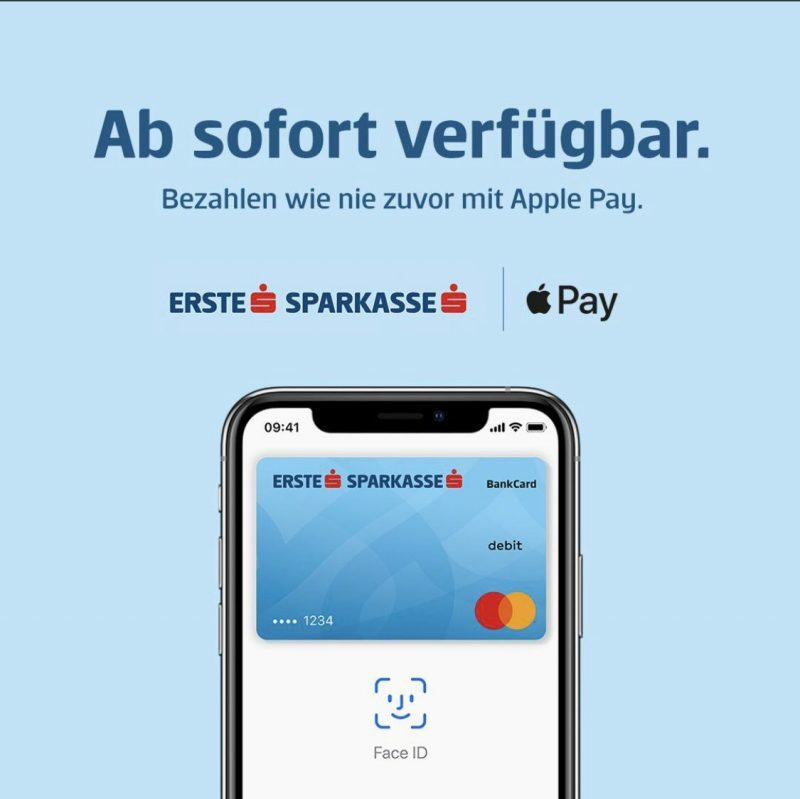 Last month, both Erste Bank und Sparkasse and N26 banks announced that Apple Pay was coming to Austria, with support for Maestro, Mastercard, and Visa debit and credit cards. Apple Pay first launched in the United States in October 2014 and is also available in the United Kingdom, Canada, Australia, China, Hong Kong, Singapore, Switzerland, France, Japan, Spain, Italy, Sweden, Finland, Denmark, Russia, New Zealand, Brazil, Poland, Ireland, Ukraine, and the United Arab Emirates. Apple CEO Tim Cook last month said Apple Pay will be available in more than 40 countries and regions by the end of 2019. DigiTimes reports this morning that Apple is set to launch third-generation AirPods with a noise cancelation function by the end of the year, a claim at odds with rumors that Apple's AirPods 3 have been pushed back to 2020. Apple is reportedly set to release its third-generation AirPods for sales by the end of 2019, with the new wireless earphones to incorporate a noise cancellation function. And Taiwan's Inventec reportedly will be the major assembler of AirPods 3, while China's Luxshare Precision will also grab part of the orders for the new device, according to industry sources. Today's report claims that Apple will fend off competition from rival brands of true wireless earbuds by including a noise-canceling function in its third-generation AirPods, although doing so could throw up new design and assembly challenges. The sources said that noise cancellation is not a new technology, but a technology hard to harness. On the one hand, semiconductor devices can hardly work without suffering electromagnetic disturbance, and on the other hand how the structural design of the noise forward feedback microphone can be done well to achieve harmonious operation with other devices is a great challenge for designers and assemblers. In addition, earphones with noise-cancellation function will consume more power than those without, and it remains to be seen how Apple will do to reduce power consumption, the sources indicated. Taiwan's Inventec is said to be uniquely positioned to meet the production challenges of AirPods 3, thanks to its extensive assembly experiences, giving the manufacturer a better chance of winning assembly orders from Apple than China's Luxshare Precision. As it stands, the assemblers command an equal share of orders for AirPods 2, which launched just last month. Bloomberg's Mark Gurman has also claimed that Apple's third-generation AirPods could include noise cancellation features, as well as a new design, and perhaps improved water resistance that will allow the AirPods to hold up to "splashes of water and rain." However, Gurman believes that AirPods 3 won't be coming until 2020, based on his understanding that Apple's second-generation AirPods were delayed by a year, which has pushed back the earbuds' launch cycle. Apple released AirPods 2 in March with optional wireless charging and hands-free Siri functionality. For all the details on what's different between the first-gen and second-gen AirPods models, check out our dedicated comparison guide. Razer last week announced the launch of its latest eGPU, the $400 Razer Core X Chroma, equipped with, as the name suggests, Razer's signature Chroma lighting. Razer sent us one of the Core X Chroma eGPUs to check out, and we've gone hands-on with it in our latest YouTube video to see how well it works with Apple's Macs. The Core X Chroma looks similar to the previous-generation Core X eGPU, with a rather large all-aluminum enclosure that will support NVIDIA GeForce RTX, GeForce GTX, and Quadro cards along with AMD XConnect-enabled Radeon and Radeon Pro cards (note that there are no suitable modern NVIDIA drivers, so most Mac users who plan to use the eGPU for macOS will want to choose AMD). Like the prior model, it's compatible with Apple's Thunderbolt 3 Macs and using it is as simple as plugging it into the USB-C port on a compatible machine. Adding in your graphics card can be done with just a few steps, no tools required. No graphics card comes with the Core X Chroma, of course, as it's just an enclosure. Adding your own graphics card is going to give you access to desktop-class performance without sacrificing the portability of a notebook machine. We stuck a Radeon RX 570 in the eGPU, which more than doubled the graphics performance of the Radeon Pro 555X included in the 2018 MacBook Pro we tested it with. Razer's equipped the Core X Chroma with 4 USB-A ports and a Gigabit Ethernet port, which is new, along with the standard single Thunderbolt 3 port. The Core X Chroma also has a 700W power supply so it supports more powerful graphics cards than the previous model. You can use the Core X Chroma to transform a MacBook Pro or MacBook Air into a desktop-class machine with a single cable, which is handy. Aside from the addition of more ports and a better power supply, the Core X Chroma has RGB lighting included, something that looks great on or below your desk. Unfortunately, Razer's software for adjusting the lights on the Core X Chroma isn't available on Mac, which kind of limits the utility of the extra feature. The lights will work on their own, but if you want to customize them, you need Razer's Windows-only Synapse software. That's a major negative for any Mac user considering the eGPU who doesn't plan to use it with Boot Camp. Razer charges $300 for its standard Core X, and this upgraded version with Chroma lighting and more ports is $100 more expensive at $400. It's available from Razer's website if you're interested in purchasing one. What do you think of the Razer Core X Chroma? Let us know in the comments. Note: MacRumors is an affiliate partner with Razer. When you click a link and make a purchase, we may receive a small payment, which helps us keep the site running. Apple today seeded the third beta of an upcoming iOS 12.3 update to its public beta testing group, one day after seeding the beta to developers and two weeks after releasing the second public beta. Beta testers who have joined Apple's beta testing program will receive the iOS 12.3 beta update over-the-air after installing the proper certificate on an iOS device. 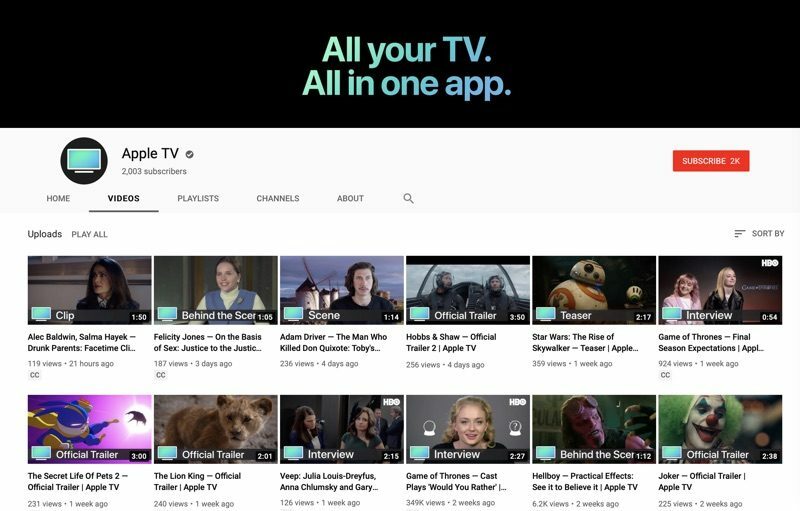 Apple has launched a new YouTube channel that's dedicated to its TV app, offering up trailers, behind the scenes commentary, interviews, show clips, and more. Apple appears to have debuted the new channel, which was noticed this morning by MacStories, about a month ago. The channel seems to have launched when Apple announced plans for a revamped Apple TV app and a new Apple TV+ streaming service. Quite a few videos have been uploaded, many of which are clearly labeled with titles like "Official Trailer," Interview," or "Clip." Trailers for many popular upcoming movies are included, such as "The Lion King," "The Secret Life Of Pets 2," and "The Joker," along with clips and interviews from "Game of Thrones," "Veep," and more. The channel features trailers for Carpool Karaoke: The Series, which suggests this is where Apple will share trailers for its original TV shows and movies as the Apple TV+ service's fall launch approaches. 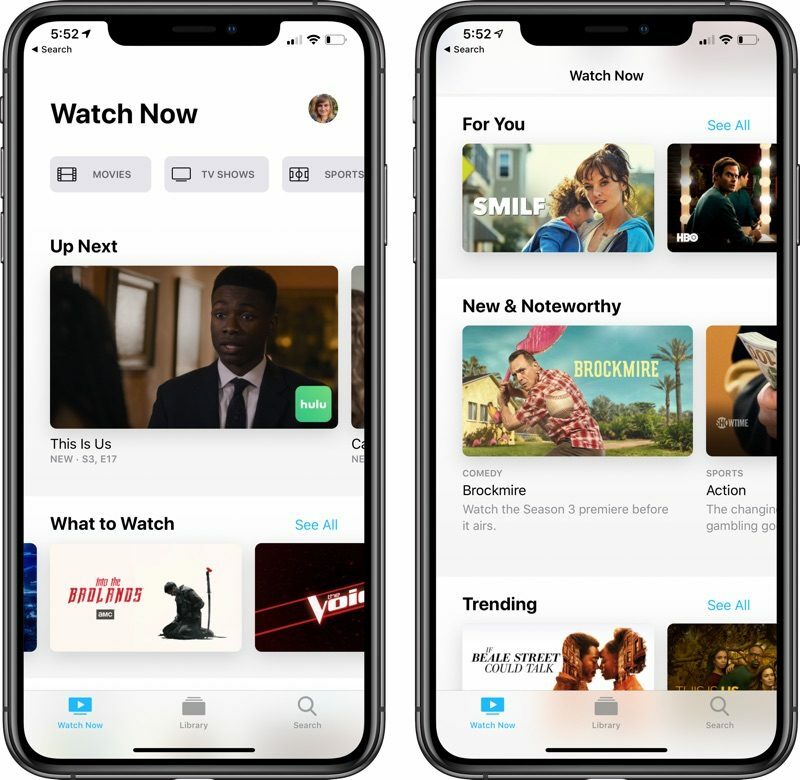 Apple's updated TV app is already available to developers and public beta testers who have installed iOS 12.3 and tvOS 12.3, and it will be available to everyone when those operating system updates launch. 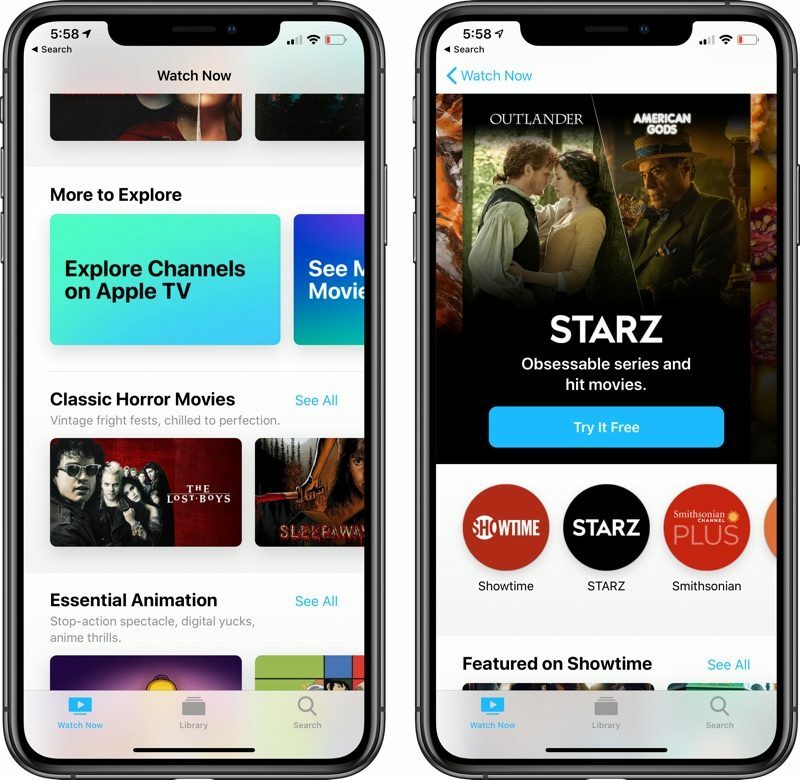 It appears that the Apple TV channel will be used in conjunction with the revamped TV app to promote television content that's available to watch through the TV app.